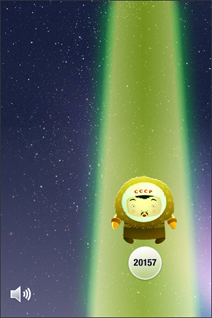 funny concept and fantastic graphics for this spin on the russian space program and eskimos? using a finger, swipe and throw an eskimo cosmonaut higher and higher into the stratosphere. the scenery changes as you get higher altitude and its more challenging to keep him airborne too. very fun to play and looks good too!